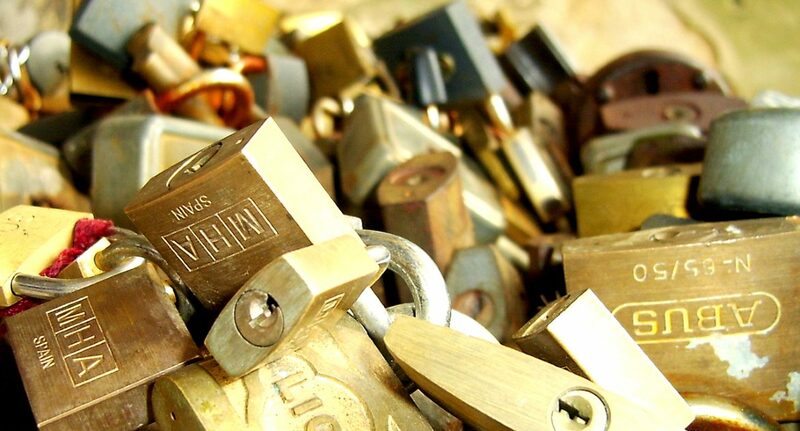 In this blog, I will explain you how this “Secure by retail channel” works functionally and technically. A few years ago, I created a demo which would give a user access to specific sales orders belonging to a certain department or sub departments, based on the organizational hierarchy. In this example, I used a persona called David, which is setup as a Retail Operations Manager. 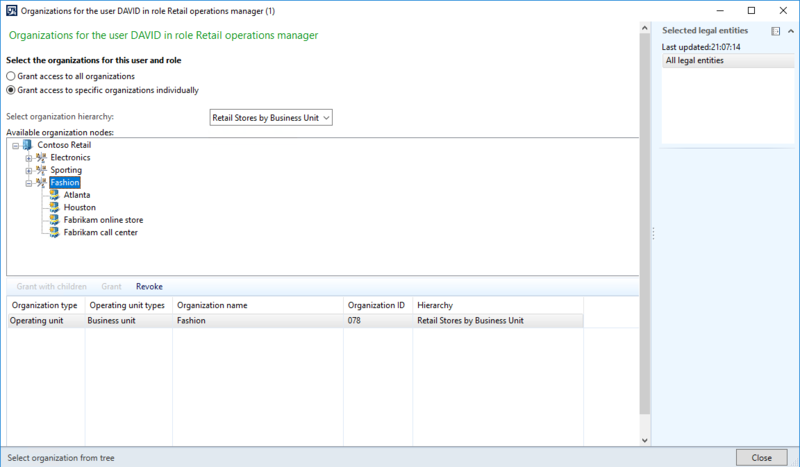 For the demo I used out of the box examples, like the Retail operations manager role and an organization hierarchy. The retail operations manager is at least able to see the retail stores and related transactions. Now assume that in this organization there are multiple retail operation managers which are responsible for their own group of retail channels/stores. It was decided to restrict access so, they can only view data related to their own channels/stores. The Contoso demo data, has about 35 retail stores. Organization hierarchy “Retail Stores by Business Unit”. The organization model is based on Retail channels and has an example of dividing the stores into three main groups. You only need to add this hierarchy to the organization hierarchy purpose Security. 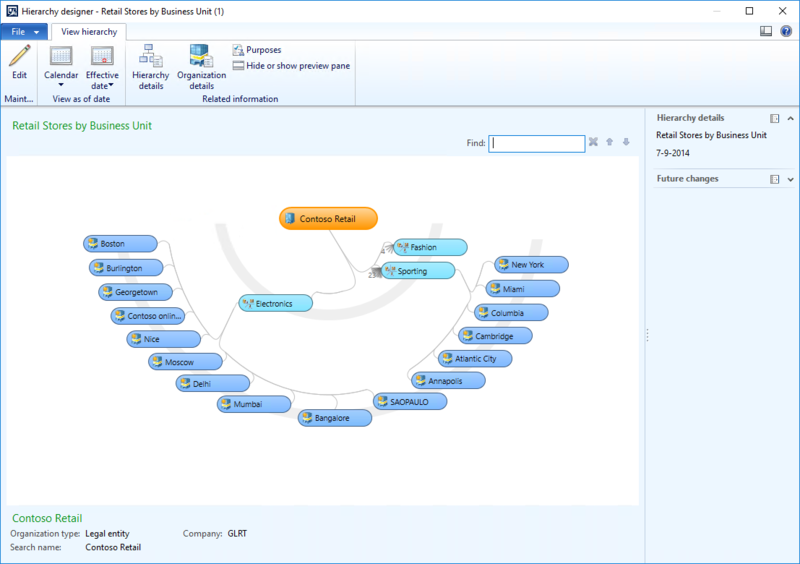 Add the Retail Operations Manager role to David and assign organizations. For your understanding, assigning organizations to security roles granted to a user is not limited to legal entities only. Microsoft did only implement the legal entity assignment to be able to limit access per company. In this example, we will assign the business unit “Fashion” including children. You could also add the retail stores separately or some business units and some stores. Now when David logs in, he will only see the retail channels granted via security. The hierarchy showed 4 channels where the screenshot shows only two. This is due to having one online store and one call center which are not shown in this view. 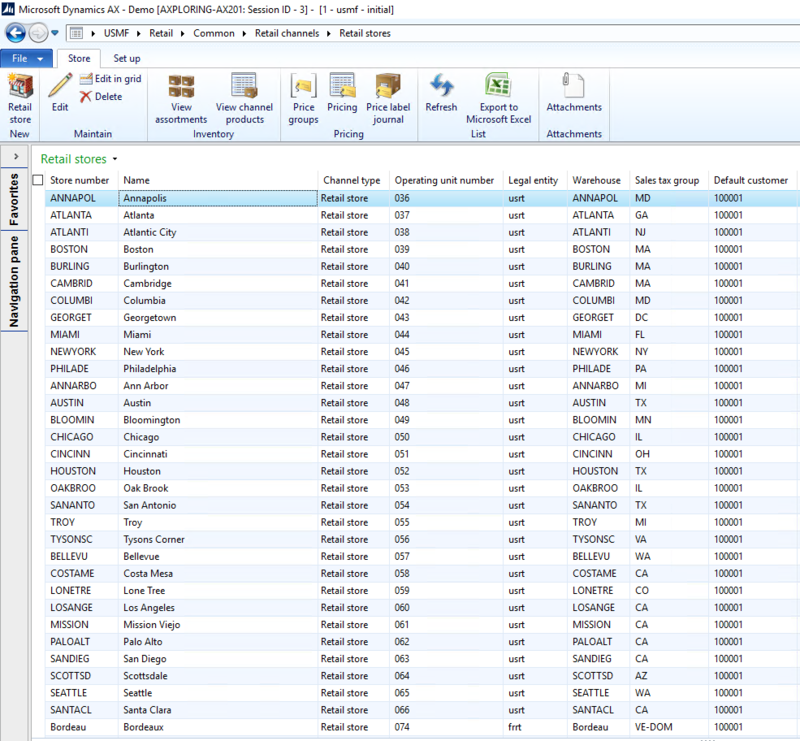 To be able to create the security policy, there is a need for a MyContruct table where the Retail channels per user can be stored. 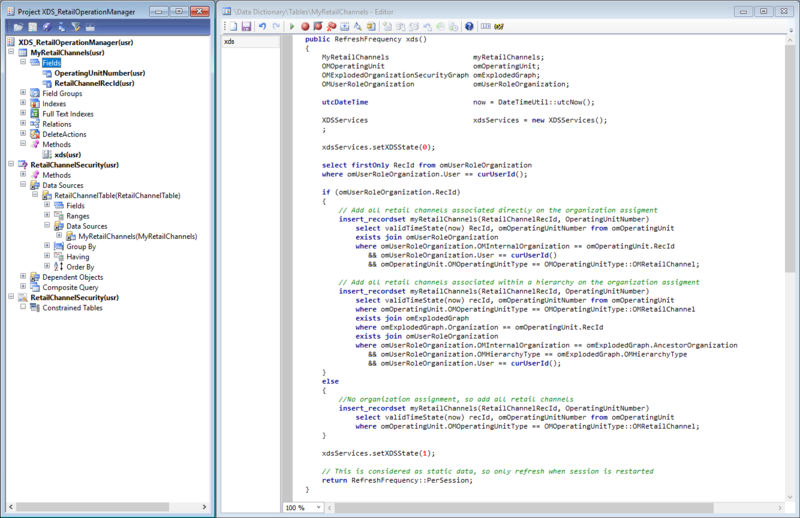 This table has only two fields and coding in the XDS() method will take care of inserting the records. The coding has some multiple sections to handle multiple scenarios like no organization assignments for this user, retail channels or a certain tree node with children. During the first call on the MyRetailChannels table, it will build a temporary table for the user where all retail channels will be exploded from the hierarchy and then can be used for the security query object and the security policy. The example is limited to retail channels only. Possibly you need to extend it with multiple constrained tables. I didn’t include them as the main goal was to limit records based on security settings and organization hierarchies. I’m pretty excited that it is possible to achieve this powerful example with limited number of objects and coding. All objects for this retail channel security example can be found on my My OneDrive DynamicsShare. If you want to explore the examples, feel free to download and use it. The software is provided as-is and you cannot obtain any rights if something is not working correctly. You have to ensure you will install the examples in a separate environment first and test it carefully. If you have questions or feedback, feel free to add comments or send a message. Ever since I turned on XDS, I have been experiencing some odd errors in workflow. Can you confirm whether XDS works with workflows? You are not mentioning any details, so it would be hard to guess what you are experiencing. I would suggest to create a question on the Dynamics Community with some more details. Then volunteers, like me, can try to help you.